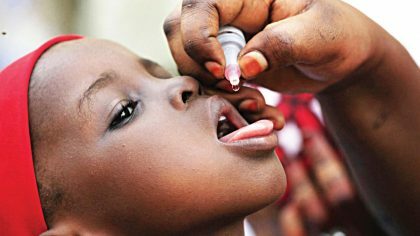 The World Health Organisation (WHO) Coordinator in Cross River, Dr Thompson Igbu, says Nigeria would be polio-free by August 2018. Dr Igbu made this known to the News Agency of Nigeria (NAN) on the sidelines of a workshop on integrated disease surveillance and response on Wednesday in Calabar. “Nigeria would have been 24 months free of indigenous poliovirus in the country if no case was reported. “Nigeria is doing very well in the fight against poliomyelitis in the country,” he said. The expert noted that polio reporting system was very strong in Nigeria and the last polio case that was recorded in the country was in August 2016. According to him, WHO had trained community personnel that quickly report any condition that looked like polio or any of the diseases on Federal Government watch list to the appropriate bodies. “We have trained several community members called community informants, whom once they see anything that looks like polio, they quickly report to the nearest health center. “The health center reports to the local government, the local government reports to the state and the state to the national level. “I am confident that we have done well in trying to eradicate polio,’’ he said. He, however, underscored the need to improve access to information to focal persons who are stationed at different health facilities. “This would help the federal government and WHO know the rate of frequency of a particular disease in a community and prevent its spread,” he said. Igbu added that similar surveillance programmes were carried out around the Internally Displaced Person camps in the state. “We have a programme we call the Enhancement of Our Immunity and Surveillance System amongst the refugees from Cameroon. “This project is important because we need to be sure that our brothers coming from Cameroon do not have the polio virus. “We have enumerated the refugee children from Cameroon. “We now know which household or community they reside with a view to continuously provide them with preventive and curative medicine,” he said. The WHO state coordinator urged Nigerians to maintain a clean environment and report anything they suspect to be a disease, especially diseases like Polio, Ebola, Lassa fever and monkeypox. Similarly, the Chairman, Hospital Seminar Committee of the Teaching Hospital, Calabar, Dr Angela Eyo-Etta, said the seminar was designed to scale up surveillance for data collection and action. “Information is key to the action you take, if you take action without information, you are likely to take the wrong action,” she said. She said that Nigeria has a health management information system but this system targets the primary health care, the form provided cannot be used by secondary and tertiary health care providers. According to her, the secondary and tertiary healthcare providers have to be innovative in making sure that diseases are promptly reported to bridge the gap. The Chairman of the event, Prof. Andrew Asindi, said medical practitioners should be updated regularly to know the current trends and channels of reporting medical conditions. Asindi said that Nigeria was the third country that still had polio following Afghanistan and Pakistan.